Climate and disaster resilience and sustainable development. Josh Sawislak is a Senior Advisor to the Center for Climate and Energy Solutions (C2ES). He is an internationally recognized expert on climate and disaster resilience and sustainable development. He advises governments, corporations, international organizations, and NGOs on policy, implementation, and financial issues around building sustainable and resilient infrastructure in both the developed and developing world. He concurrently holds an appointment as a professional affiliate of the Center for Urban and Environmental Solutions at Florida Atlantic University. 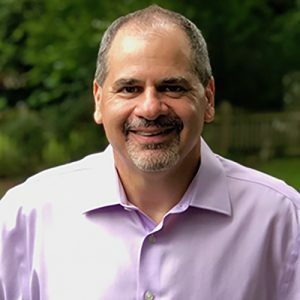 Mr. Sawislak previously served as the global director of resilience for the infrastructure services firm AECOM, creating and leveraging resilient strategies to address issues such as sustainability, climate change, disaster preparedness, and enterprise risk management. Mr. Sawislak served in the Obama Administration as the Associate Director for Climate Preparedness at the White House Council on Environmental Quality, where he developed U.S. federal policy on climate adaptation and and worked with foreign governments and international organization resilience on multilateral and bilateral efforts. He also served as a senior advisor to the Secretary of Housing and Urban Development. He also serves as a subject matter expert for the Rockefeller Foundation on infrastructure, community resilience, sustainable development and serves as a member of the executive committee task force of the Transportation Research Board on resilience and sustainability. Mr. Sawislak earned a degree in political science from The George Washington University and a certificate in infrastructure development from the Harvard Kennedy School. He serves on the boards of directors for the National Institute of Coastal and Harbor Infrastructure and evacuteer.org and is an advisor to several other organizations and programs in support of resilience and sustainability.